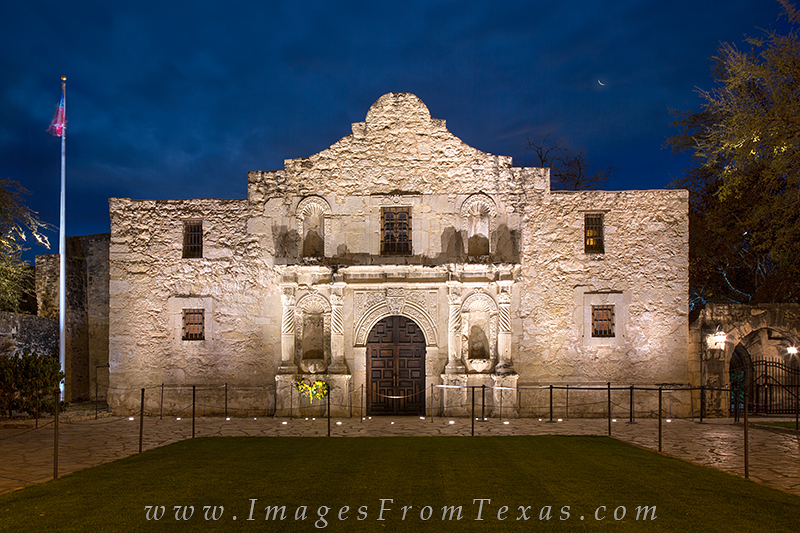 As a crescent moon rises in the northeast on a spring morning in San Antonio, Texas, the Alamo is silent. Shadows on the second floor created by upward facing floodlights appear as tombstones, an eerie reminder of this old mission's history. Photo © copyright by Rob Greebon.